This week on a summer solstice, forest walk in our local state park I was greeted with an enormous surprise. The flower I was named after was in bloom everywhere—from small patches to entire ridges. 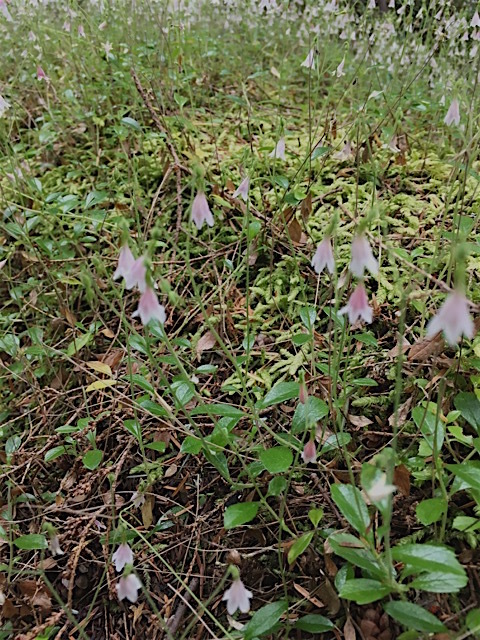 Never in 40 years of living in its range have I timed a walk to be in the woods at the peak moment of bloom for Linnaea borealis (the twinflower). I have seen one or two or a small colony of the tiny flowers blooming at one time, but nothing of this magnitude! I carefully sat down at the edge of one of these blooming fields and became completely still. 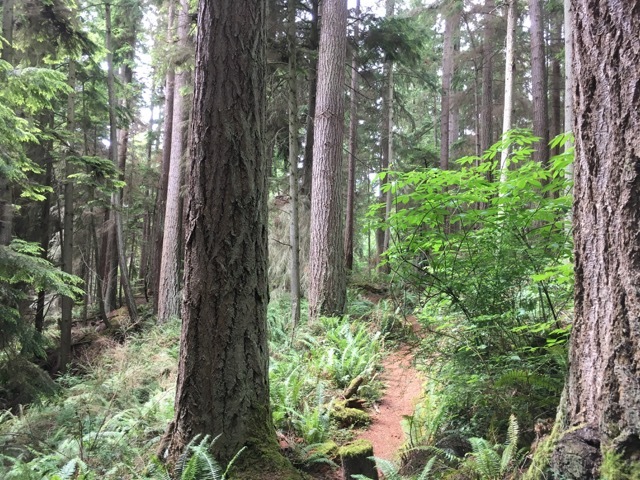 No human sound penetrated the forest’s deep silence on this cool summer day. I inhaled slowly. 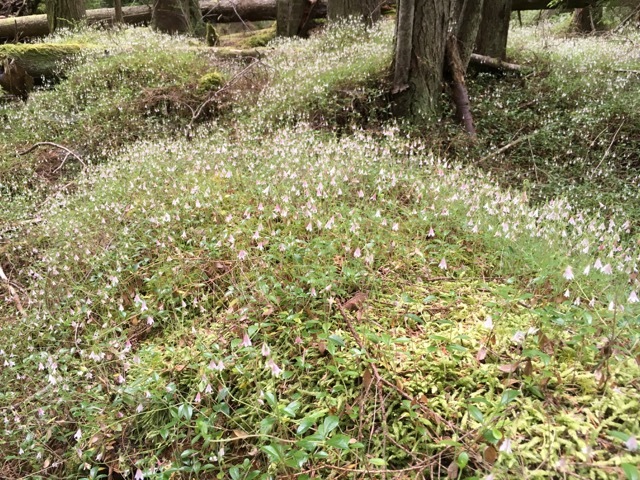 There is reputed to be an elegant fragrance that comes from these fairy flowers. I had never been able to perceive it, but here were thousands of flowers in one place. Slowly, steadily I found myself engulfed in a very slight citrus smell. The ecstasy I felt must be akin to someone coming from a planet with no flowers landing in the northern hemisphere in June. I both wanted to shout out loud in amazement AND be silent in the temple of beauty. This tiny woodland flower was my grandmother’s favorite in her Swedish homeland. She gave her fourth child, my mother, the middle name of Linnea. My mother passed that same middle name onto me. After kayaking around Lake Superior in the summer of 1992, I felt so profoundly changed that I needed an outward claiming of my inward change. So, I legally changed my name to Ann Linnea. At this moment in the woods, I felt enormous connection to my mother, my grandmother, and my Swedish heritage. Since my mother is still alive, I eagerly called her when I returned from my walk. She has always lived a bit south of where this tiny plant grows. She knows what it looks like, but cannot ever remember smelling a Linnea flower. I sure hope my sweet, quiet grandmother had a moment like mine in the forest of her homeland when she was a child. My grandmother’s favorite wildflower in Sweden. She immigrated here as a teenager. Nature holds the thread of wonder if we look carefully. It is a powerful antidote for us humans—it has always been so. My heart jumped with Joy to hear your amazing story. Thank you for sharing this truly remarkable and beautiful experience. I am touched to read this story of your name, of the blessing to have been amidst so much of your heritage in your special sacred place. I, too, legally changed my name to honour my grandmothers, a beloved who championed me as a child, and my heritage. How to sweet to know we share this self claimed gift to the Feminine. I love this so much. 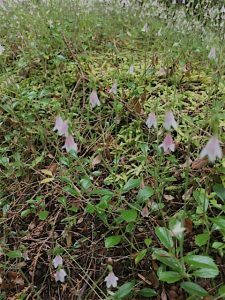 And I love knowing about your name; and about the formal name of twinflower! ???? Beautiful, Ann. I’m so glad to “meet” this flower. Perhaps some day in person! What a lovely account of a magical time in the forest you so dearly love and the connection it brings to your family. Thank you so much for the photos and sharing about this lovely flower and your heritage. I was briefly transported to wonderland! I am still with you at the edge of the green, Ann. What a beautiful honoring of all that is sacred. One of my favorite tiny tiny flowers!